READ: Borax: The Twenty Mule Team. 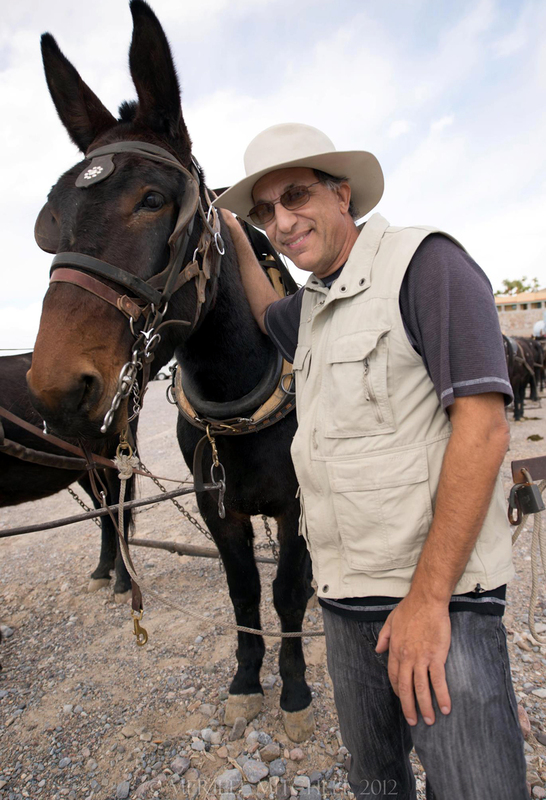 Many remember television’s “Death Valley Days” and many others still use the famous brand of laundry booster, “20 Mule Team Borax.” But to others this product, the TV show and the image of mules and wagons is unknown and unfamiliar. At one time they were as famous as the golden arches are today. Join Filmmaker and Author Ted Faye before the Santa Clarita Valley Historical Society at 2 pm on Saturday, April 27, 2013 to discover how a common and mundane form of transportation became one of the most recognizable icons in America. And how a lowly salt was responsible for the rise and fall of the fortunes of prospectors and entrepreneurs. The talk will be held at the The Old Town Newhall Library, 24500 Main St., in Newhall, California. The talk will be followed by a book signing session with the author. In a new book for the “Images of America” Series Ted Faye has uncovered images and created a compelling narrative describing both the practical operation and the romanticizing of the long-line teams used throughout the west – but especially the one which became known as the 20-Mule Team. Join Ted for an entertaining and inspiring program for the local debut of his new film and book. Ted Faye is a documentary filmmaker whose company, Gold Creek Films, specializes in stories of the West. Ted also develops audio CDs, signage and brochures, helping communities to find and tell their stories. Producer Ted Faye has received numerous awards for his films including the Western Channel’s Honorary Award, the Golden Apple from National Educational Media, a Platinum Remi, and four golds and a silver from Worldfest-Houston. His newest effort is a book, released Oct. 1, 2012, is the story of 20 Mule Team Borax titled “The Twenty Mule Team of Death Valley.” In addition a film of the same title was released in November. Since 1994 Faye has focused his career on the history of Death Valley, Nevada and America’s desert regions. He has done on-camera interviews with many who witnessed the early 20th century history of the desert and have since passed away. He has gathered historical and live footage, historical photographs, and artifacts and created an extensive archive of material related to Death Valley. He has been an invited speaker at historical societies and events throughout the West and has served as consultant on projects for PBS’ “Nature,” WQED’s “Mojave Desert Project,” The History Channel’s “Death Valley Chronicles” and others. His documentaries have aired on PBS television stations throughout the West, including Los Angeles, Las Vegas, Phoenix and Denver. Earlier in his career he produced music videos, working with the O’Jays, Huey Lewis and the News, Dave Mustain of Megadeth, John Fogerty, and many others. His company, Gold Creek Films, is currently partnering with various communities to produce narrative tour-guide apps and tour-guide DVDs for rural regions of Nevada. He is also in the midst of production on a documentary about the life of basketball superstar, Allen Iverson. The Santa Clarita Valley Historical Society is pleased to host Ted Faye at the Old Town Newhall Library. The general public is welcome. Admission will be free. For more information on this and other upcoming programs from the SCVHS, call Alan Pollack at 661-254-1275.